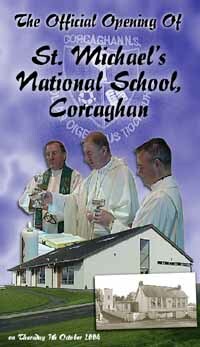 The official opening of St. Michael's National School, Corcaghan, Co. Monaghan. Includes concelebrated mass with Bishop Duffy and the opening ceremony and speeches. Also the school children in school.